Yamaha has announced its new generation of TransAcoustic pianos, featuring four upright and three grand models. They build on the original TransAcoustic models which gave acoustic pianos volume control, thanks to electro-acoustic transducers located near to each of the instrument’s two soundboard bridges which allow the entire soundboard to act as a speaker. As well as the CFX piano voice found on the original U1TA and GC1TA baby grand pianos, TransAcoustic TA2 pianos also feature a sample set of the Bösendorfer Imperial, along with upright, pop grand and ballad grand voices, electric pianos, strings, choirs, synth pads, organs and harpsichord. 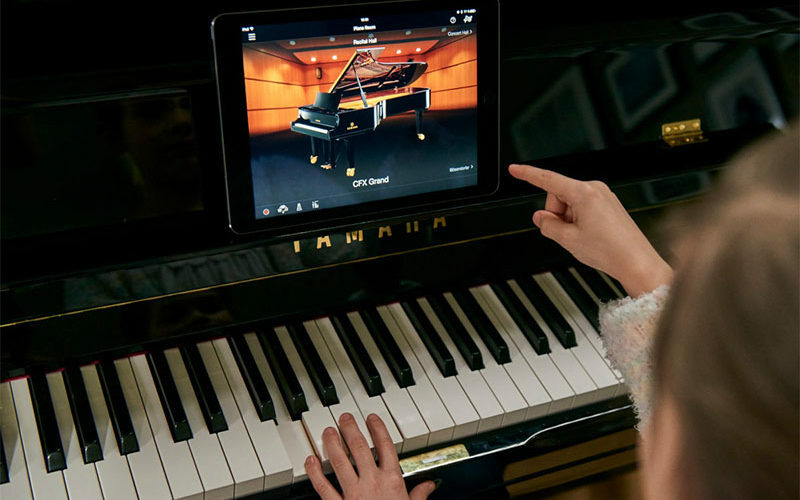 The built-in Silent Piano 2 technology allows the digital voices to be used via headphones, but keeping the tactile feedback of the grand or upright piano action. All parts of the piano still move as you’d expect, with the exception of the hammers striking the strings. Instead, hammer sensors and non-contact optical key sensors are used to interpret how the keys are played. There’s an improved binaural CFX Voice which offers a fully immersive experience for pianists using headphones, plus Virtual Resonance Modelling which captures the complex interactions of strings, damper pedals, soundboard, rim and frame of an acoustic piano, and renders harmonic overtones. The TransAcoustic TA2 system is available on the U1 TA2, YUS1 TA2, YUS3 TA2 and YUS5 TA2 upright pianos and GC1 TA2, C1X TA2 and C3X TA2 grand pianos.